Spring is a good time for lawn aeration to help soil compaction, reduce thatch and aid water movement into the soil. It’s a helpful tool to encourage root growth and prepare the lawn for the warm summer ahead. 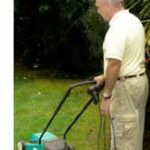 It’s okay to mow your lawn short for the first time in the early spring as a cleanup to remove debris. Now it’s time to raise your mower blade height to the tallest setting to prepare for the summer heat. A taller grass blade, 2 1/2 -3 inches, retains more moisture and promotes a deeper root system. Also, remember to sharpen those blades, a dull blade shreds the grass. Hot weather is coming. Now is the time to increase the quantity of water applied to the lawn to 1 – 1 1/2 inches per week. A helpful method to check for adequate coverage is to place equal-sized containers in the sprinklers path and measure the quantity of water applied. Water twice weekly (about every third or fourth day) to allow the lawn to dry thoroughly between watering. Avoid watering lightly each day. This only wets the soil surface for shallow root growth. For more tips on watering. 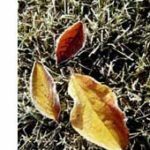 Fall is the best time for lawn aeration, when cooler temperatures encourage lawn growth. Liqui-Lawn begins lawn aeration’s after Labor Day. Give your lawn a monthly watering during the dry winter months. Winter can be one of the driest seasons. Many lawns suffer due to lack of moisture during the winter months. The effects are seen well into the spring. Due to lack of moisture and high temperatures throughout the summer, many lawns are damaged due to heat stress and need extra attention. Watering once a month during the dry winter months will help your lawn survive the season.